Marina: Fight for rights goes on in 'New M'sia' | Daily Express Online, Sabah, Malaysia. 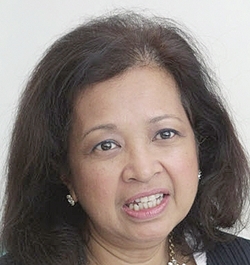 Penang: The struggle to uphold human rights and dignity as well as social issues should continue despite Malaysia having a new government, says Datin Paduka Marina Mahathir. The daughter of Prime Minister Tun Dr Mahathir Mohamad called on civil society to continue with their momentum for change so that the country truly becomes better, regardless of who is in charge now. "Many people are asking what comes after (14th general election), especially after they had overcome the impossible. Well … we can ponder but please continue," she said at the 41st Aliran fundraising and anniversary dinner at the refurbished Majestic Theatre here. We may also face a prospect of when a good opposition does not necessarily make a good government or a bad government remains a bad opposition. It is a new order but the pace to address those left marginalised in any government continues," she added, according to theSun. She also drew attention to what happened to Iran when the revolution in the 1970s was supposed to make the country better, but now four decades later, the average Iranian continues to yearn for quality living. Famed cartoonist Zulkiflee Anwar Ulhaque, or better known as Zunar, agreed with Marina, saying if the present Pakatan Harapan government intends to be like (previous) Barisan Nasional, he would turn his pen on them.